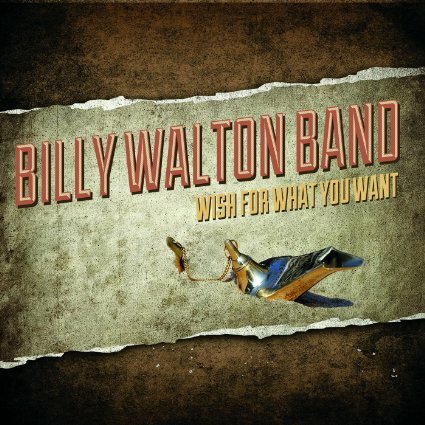 And now direct from the Jersey shore, here comes bluesman Billy Walton with his new album Wish For What You Want. He honed his craft playing with Southside Johnny and The Asbury Jukes before forming his own band in 2007. Walton is another of those modern day bluesmen who is able to coax an extraordinary sound from his Fender Stratocaster. Whether the hard rock blues of the title track, the acoustic “Blues Comes A Knockin'” with harp work by Southside Johnny, or the horn laden “Forgive And Forget,” Walton and his band engage in some energetic modern day blues. 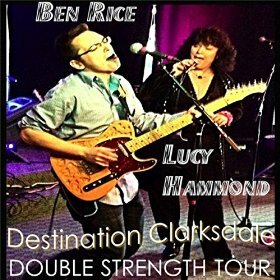 Lucy Hammond and Ben Rice were well into their careers as accomplished singer/songwriters when they met by accident. They were double-booked and quickly realized their musical approaches were compatible. They recently took time from their touring to record and release the five-track EP Destination Clarksdale. Their sound is simple; usually a guitar and vocals. They tend to move in a blues direction but fuse some folk elements here and there. They are master songwriters who are able to paint pictures with words. They both have soulful voices and the ability to harmonize. “Ida Mae” is a fun tune while Hammond’s ode to “Muddy Water” is right out of the Delta fields of pre-World War II days. EP’s provide only a taste of an artists music and so it is with Destination Clarksdale. In this case it whets the appitite for a regular full-length album. To say that Alyssa and Doug Graham have a close and lasting relationship is an under statement. At the age of nine, Doug met the seven year old Alyssa and the rest is musical and marital history. They are a couple who live their music. Their 2013 debut album, Riverman’s Daughter, was the result os an expedition down the Mississippi’s Great River Road. They have now returned with another heartfelt and more ambitious project. 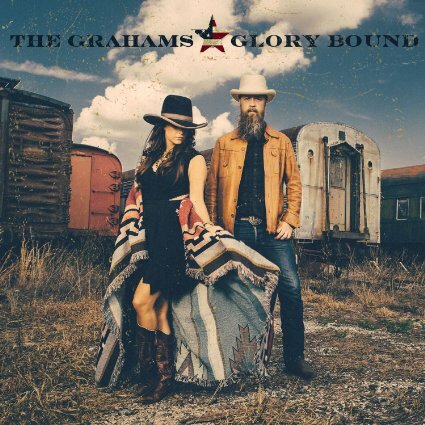 They move from the river to the rails for their latest album Glory Bound. They rode the rails as they crafted music for their new release. The result is a country album with a very organic feel as its musical approach harps back to imagery, feelings, and styling of Woody Guthrie. The project did not stop at just an album as they decided to film a musical documentary film at the same time, which focus’ on the relationship between railroads and American roots music. The music of Glory Bound begins with a a smooth country approach and moves outward to combine with other formats. The ballad “Mama” and the exquisite “Lay Me Down” have a spiritual element. Alyssa’s voice can soar, and Doug’s guitar work, both electric and acoustic, provides a firm foundation to their sound. “The Spinner” and “Promised Land” have a traditional country connection, while “Biscuits” moves in a gentle blues direction. 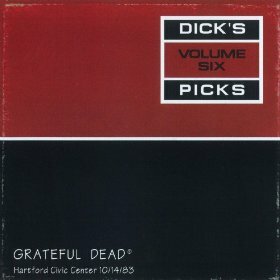 The music from Riding The Hocks is different and more eclectic. There are banjos, there are tubas, plus some stunning a capella vocals that sound like early field recordings. Whether approached jointly or individually, Glory Road and Riding The Hocks are both admirable releases. While the music moves in somewhat different directions, the music is real, authentic, and in touch with an important part of American culture. Both releases are well-worth exploring. Craig Fuller and Eric Kaz have spent the last 50 years in the music business. They may not be household names but they have been a part of bands that have sold millions of albums. During 1978 they united to produce their one and only self-titled album. It remains an under appreciated album that was a commercial failure at the time of its release. It has now been reissued on CD with a pristine sound and excellent liner notes that give a history of the participants and music. Fuller’s first claim to fame came in 1970 as a member of J.D. Blackfoot. He then moved on to become a founding member of Pure Prairie League. In the mean time Kaz was playing and recording with a reconstituted Blues Magoos of “We Ain’t Got Nothing Yet” fame. They finally came together as members of American Flyer, whose first album was produced by the Beatles George Martin. After the demise of American Flyer, Kaz and Fuller decided to record as a duo. 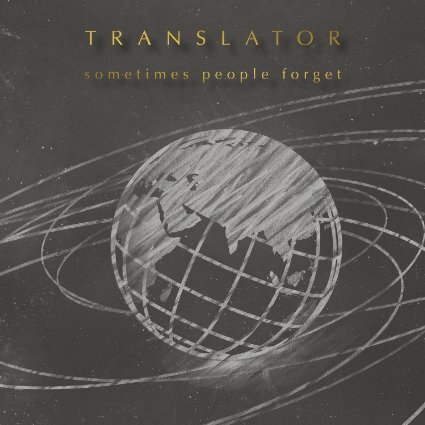 Their self titled release is a modest affair of laid back electric and acoustic pop/rock. In many ways it has a stripped down Pure Prairie league sound. It is a simple approach that keeps the focus on the lyrics and vocals. Fuller shines of his compositions “Feel That Way Again,” “Restless Sea,” and “Fool For You.” Fuller contributes a take on his classic song, “Cry Like A Rainstorm.” “Annabella” is the only song with a dual writing credit and it has a fuller sound. The bonus track is the single version of the song. After the failure of their album, they went their separate ways. Kaz is now a respected songwriter whose compositions have been recorded by hundreds of artists. Fuller became the lead singer for Little Feat for a number of years after Lowell George’s death and then fronted a return of Pure Prairie League. 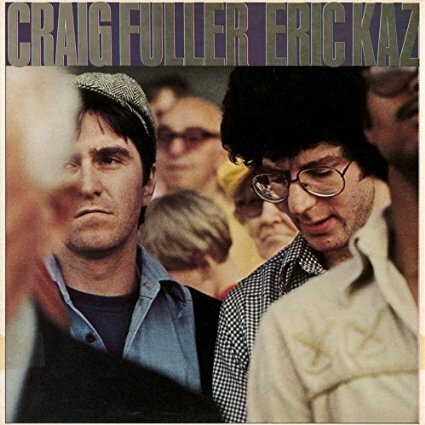 Craig Fuller’s and Eric Kaz’s short time together and resultant album did not change American music but it remains an interesting relic of the softer and reflective side of the 1970’s. 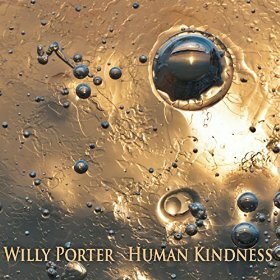 Willy Porter is a self-taught musician who is now two plus decades and ten albums into his career. He has now returned with his latest album titled Human Kindness. He is backed by a full band as he presents an album of acoustic and electric pop songs that utilize radio friendly melodies. The use of various keyboards including a mellotron and synthesizer, plus a saxophone add an increased sophistication to his music. His songs tells wonderful stories. 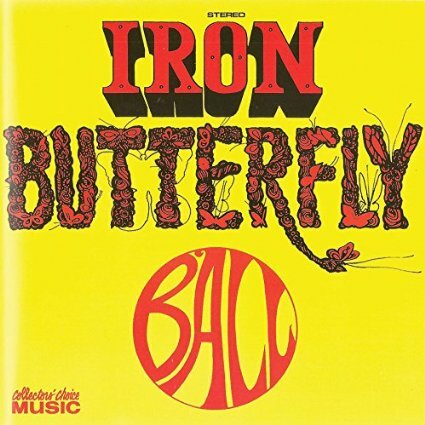 Tracks such as “Chippewa Boots,” “Walking With The Man,” “My Bird Can Sing,” and “Roses In The Rain” are an interesting journey through his mind. During the past 25 years, Willy Porter has honed his craft well. Human Kindness is the latest link in a series of quality albums. Josh Garrett and his band represent all that is good about modern day blues. 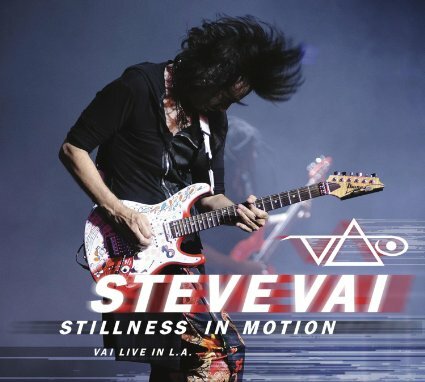 He combines scintillating guitar licks, gritty vocals, deep rhythms, and incisive lyrics. It all adds up to a contemporary approach to the classic blues of the Delta. “Memphis” just meanders along with a series of subtle grooves, while “Goodnight Goodnight” is a primitive track that features only his slide guitar and harp. “Easy Chair” and “Same Boat” are both bright blasts of blues. Garrett released his first album at the age of 24 and has honed his approach and sound to the point that one now finds a mature and sure musician. 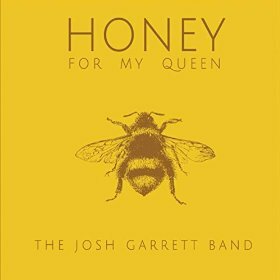 Honey For My Queen is a good experience for any blues aficionado.